I was having a little browse of The Ordinary website and I noticed that they had a few new launches that I was completely unaware of. Given the ridiculously cheap price point of the brand, of course I had to check out with a few items. I've been testing them for a few weeks and I'm ready to report back. I've spoken about the Hyluronic Acid from The Ordinary before and to be honest I didn't find it was all that. So I was a little apprehensive of the product, but I'm pleased to report this was everything I hoped the Hyluronic acid would be and more! It contains natural marine hyluronics that work in the same way Hyluronic acid does (by holding water) but in a much lighter formula. It also contains Blue Algae and Amino acids, which are both great for the skin. This does have a lighter, more runny consistency than the Hydronic acid, which I prefer. It's also very hydrating! I've been using it as a serum before my other skincare and this has really helped with my skins overall hydration levels. I feel like it works on a much deeper level than the Hyluronic Acid. So if that didn't work for you I definitely recommend checking this out. My only issue with this is the smell, it actually kind of smells like pond water! But that aside this is a great serum. L-Ascorbic is also known as Vitamin C, which is a great brightening ingredient. This formulation is a powder that you mix with your regular skincare, it even comes with a little scoop. It is worth reading The Ordinary's directions because there are some products that shouldn't be used at the same time as these. See here. I've been mixing one scoop with my Klairs Soft Preparation Toner. And I love this stuff. After one use my skin looked significantly brighter. I also had a few breakouts and this completely dried them out over night. I was instantly impressed! With continued use my pigmentations issues look better and my skin looks glowing! I really can't get over how good this is. Everyone needs it! I've seen a few good reviews of products with Mandelic Acid so I really wanted to try it. Mandelic Acid is an AHA but it's said to be a lot more gentle. I've had a few issues with regular Glycolic acids in the past so this sounded right up my street. And again, this is another winner from the brand! The acid itself has a light water texture. It doesn't sting or irritate my skin at all. But this still offers amazing results. I've been using it in the evening, 2-3 times a week straight after cleansing and before serum. It leaves my skin feeling so soft and smooth. My skin looks a lot clearer and brighter to. Overall, I can't get enough of this, I really want to try other products containing Mandelic acid now. I'm impressed with my recent buys from The Ordinary. 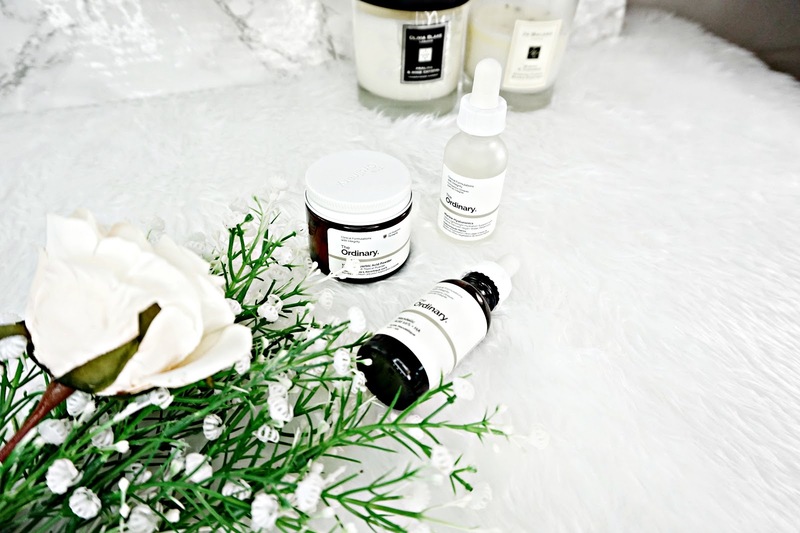 Anything that hydrates, plumps and gives my skin a glow I'm all over it!